Hiring Lyubomir Stetsiv, Sales and Business Development Manager for the MENA and CIS regions. Lyubomir is a mechanical engineer with 10+ years of process package experience and is based in our Dubai office. Lyubomir works closely with the IFS applications engineering team based in Houston, Texas, who supports him with high quality technical and commercial proposals. Deciding to locate a factory trained project engineer in the Dubai office, where he will provide local applications and project support. Offering local field service engineering support to all clients in the Middle East region. This includes the nations of Saudi Arabia, Kuwait, UAE, Oman, Qatar and Iraq. Successfully executing multiple projects out of Dubai with the use of the IFS engineering, quality control, and project management teams in conjunction with local Dubai fabrication partners. 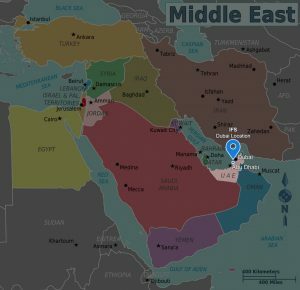 Most importantly, we have strengthened our network of local agents throughout the Middle East region and are expanding into India, Northern Africa and the former CIS countries.